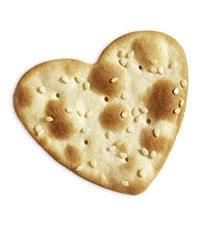 Valentine's Day is only two weeks away and what can be better than heart shaped foods to add to the celebration. While running errands with my mom this weekend, I came across these two products and thought they would be really cute for Valentine's Day; especially if you're celebrating with kids, which a lot of us including myself are! 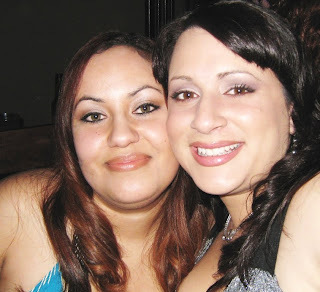 Today is my Best Friend Angie’s birthday and even though I’ll be seeing her in a couple of hours I want to wish her “A Very Happy Birthday” blogger style. We’ve been through so much together and I want to thank her from the bottom of my heart for being there through the good times and the bad times, for giving me the opportunity to be a part of her beautiful girl’s lives and for loving JD as if he were her own. I just couldn’t be happier, this week is coming to an end and we’ve accomplished so much. 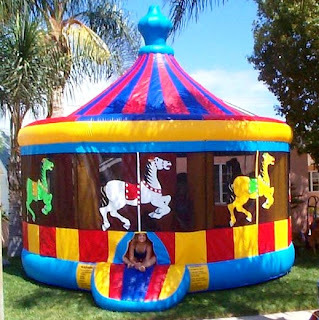 Today we finally received a call back from one of the vendors we’re using for JD’s 1st Birthday and he was able to get us the perfect jumper for the party, a Carousel Jumper! We had such a hard time finding this specific jumper in the South Bay, but Debbie at Jumporama in Buena Park was nice enough to refer us to someone in Long Beach who carried it. Everything is coming together so nicely and I want to thank my family and friends (you know who you are) for all their ideas and support, it’s so great to see how much JD means to all of them. 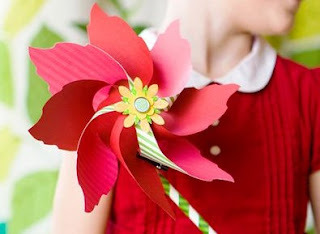 I love pinwheels; there is something so fun and childlike about them, but your hardly ever see them around anymore. 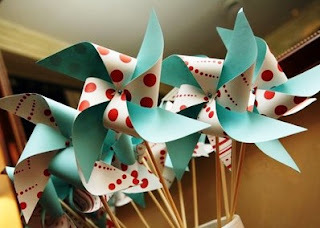 So, in my search for cute pinwheels for JD’s 1st birthday party, I came across some wonderful pinwheel templates. 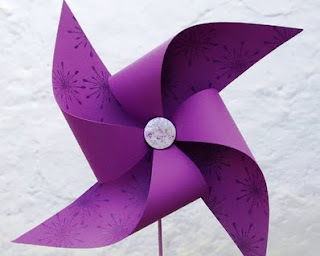 I have a closet full of scrap-booking supplies (the hubby has made it very clear that if I don’t start using them, he’s selling everything on eBay), so I’ll be making the pinwheels for JD's party myself (hopefully with the help of my co-planners hint-hint)! Sometimes you just need a day to unwind and have a little fun, for my closest friends and I that usually means day-tripping, road-tripping or shop-tripping. On Sunday my best friend Angie and her girls Selena & Melissa (my goddaughters), the Garcia Foodies and I took advantage of our annual passes and all headed to Disneyland for a well deserved girl’s day out. We had such a great time that we’re eager to make these trips a new monthly ritual. I’m on such a dessert kick lately. 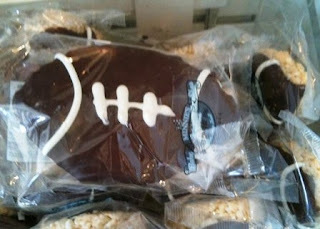 While visiting Disneyland this past weekend I saw a really awesome dessert idea for Super Bowl, a football shaped, chocolate coated Rice Krispies Treat (yummy). I found a football cookie cutter at Sur la Table (my absolutely positively favorite cooking store) and I can’t wait to make and eat these cute little footballs for Super Bowl! Valentines Day is a few weeks away and I’m already thinking about dessert, well actually I’m always thinking about dessert. I typically make chocolate dipped strawberries for Valentines Day, but this year if everything goes as planned we will be celebrating in Big Bear, so I want to make something that will be perfect for a snowy (hopefully) Valentines Day. 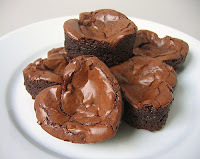 I absolutely love brownies; I don’t think I know anyone who doesn’t and this idea is not only easy but ideal for all you brownie lovers! 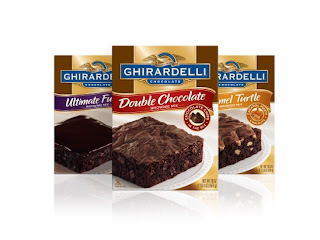 This is my favorite brownie mix but you can use any brownie mix you like, follow the directions on the box, just cut the baking time down to 20 minutes. 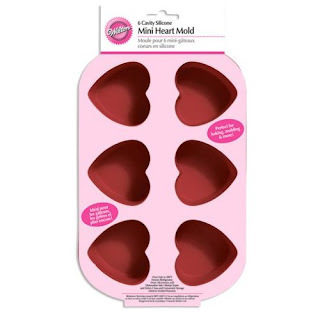 This is the pan I own, it actually makes larger brownies than most heart shaped pans, which I love. 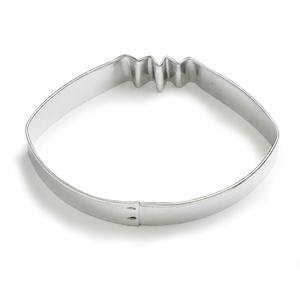 You can buy this one online at Amazon.com for around $10.00, or at most craft or baking stores. 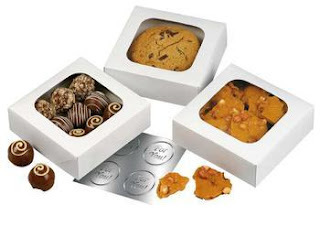 If you plan on giving some of your brownies as yummy gifts, you can find these pastry boxes at most craft or baking stores. 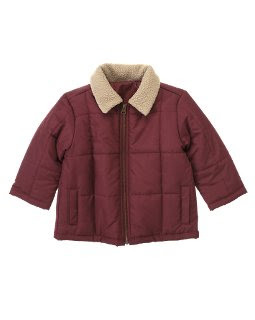 My search for a winter jacket for JD has ended before it really even begun, yesterday while window shopping (I say this to throw the hubby off) I visited Crazy 8, one of my favorite clothing stores for children and I found the perfect jacket to match JD's winter boots and yes it was on sale; so I also bought him a warm pair of jersey-lined pants for our trip to Big Bear and a cute football shirt, that I'll have him model on Super Bowl Sunday. We’ve planned are yearly trip to Big Bear for early February and I’m so excited, it will be JD’s first visit to the snow. 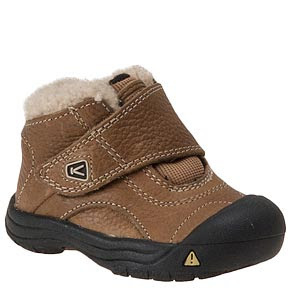 In preparation for our trip I’ve been searching for some winter boots for JD and let me tell you, infant boots are hard to find, unless you shop online and they cost almost as much as adult boots. Yesterday the hubby and I happened to stop by Nordstrom Rack at the Promenade at Howard Hughes Center on our way to the movies (they have a great selection of infant shoes); Well, I never imagined I would find the exact boots I was thinking of buying online, but I did and for more than half off the retail price. Now I just have to find a winter jacket to match JD's new cute winter boots. I believe that food can be more than just fulfilling it can be artistic too and what better way to show off your culinary creations than with fantastic servingware. For all you Food Network fans, you’ll be happy to know that Kohl’s (my Mervyn’s replacement) sells really fabulous Food Network and Bobby Flay products, everything from cookware to table linens. 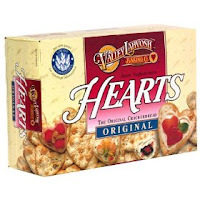 Here are two products I’ve added to my shopping list, just in time for Super Bowl. 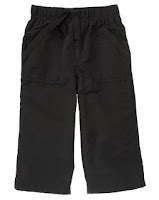 You can purchase these products at Kohl’s or online at Kohl's.com. 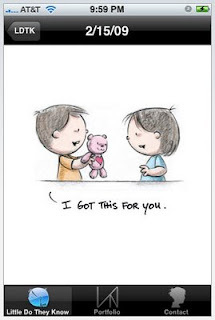 iPhone App: "Little Do They Know"
In this blogger world, you come across such talented people, like Vivian Nguyen an artist who captured my attention with the most adorable comic strip I’ve ever had the pleasure of reading. Although she draws more than just comic strips, I have personally fallen in love with “Little Do They Know”, a whimsical strip that offers a humorous glimpse at love & relationship challenges...via the precocious exchange between two innocent youngsters (furrysoft.com). 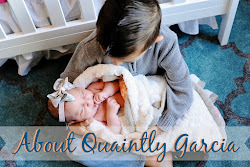 I have really enjoyed reading her blog these last couple weeks and I am pleased to announce “There’s An App For That” and it’s free, just click here for more info. I’m so thankful that people like Vivian have decided to share their talent with world; I hope that others will be inspired to do the same. 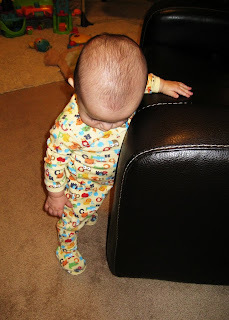 JD has become very independent in the last few weeks, although he still enjoys crawling around the house; he is much more interested in climbing furniture, especially when no one is paying attention to him (which is exciting and scary all at the same time). So without further ado, here is JD on his furniture of choice, daddy’s leather glider. Wow, I don't got it! This recipe is one of the hubby’s favorites; I try to make it at least once a month and yesterday Vons happen to have pork tenderloin on sale, so I thought why not make it today (yesterday). I love oven cooking because, not only does it warm up the house on cold days, but it keeps the kitchen relatively clean which is always a plus. 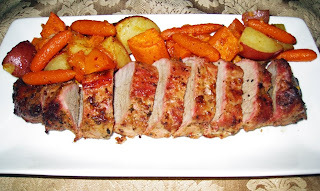 I usually serve pork tenderloin with oven roasted veggies, but you can also serve it with mashed potatoes, rice, salad or any other of your favorite side dishes. Place pork in a roasting pan coated with cooking spray or olive oil. Rub pork with 1/4 teaspoons each salt and pepper. Combine mustard and next 4 ingredients in a small bowl; spread mixture evenly over pork (I use a basting brush). Bake at 375 for 1 hour or until thermometer registers 140. Let stand 10 minutes before slicing. 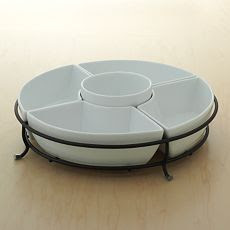 Transfer roast to a serving platter and serve with your favorite side dish. *I like to use Trader Joes 21 Seasoning Salute which contains: Onion, Black Pepper, Celery Seed, Cayenne Pepper, Parsley, Basil, Marjoram, Bay Leaf, Oregano, Thyme, Savory, Rosemary, Cumin, Mustard, Coriander, Garlic, Carrot, Orange Peel, Tomato Granules, Lemon Juice Powder, Oil of Lemon, and Citric Acid. I have to admit I have countless hobbies (because of my only child syndrome), but one of the hobbies I enjoy the most, is photography; which brings me to my next logical hobby, picture framing. 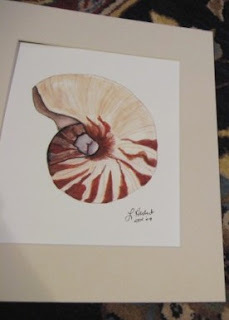 A few years ago I took on a part time job at JoAnn’s, in the custom framing department because seemed like an interesting trade to learn and it was. I worked in the custom framing department for over two years and learned a lot of great DIY custom framing tricks. Did you know most custom framing stores will cut mats for you, for almost half the price they charge in a custom framing order? Did you know ready-made mats and frames can look just as nice as custom made mats and frames? Did you know you can ask framing associates at Aaron Brothers, Michaels and JoAnn’s for framing advice and they will gladly help you pick the best ready-made frames and mats to match your art/picture? Did you know custom framing stores sell all the materials you need for DIY framing; hanging hardware including hanging wire, paper dust cover, double sided tape (for adhering dust cover) and foam core. Always work in a clean environment. Use a lint free cloth when cleaning glass. 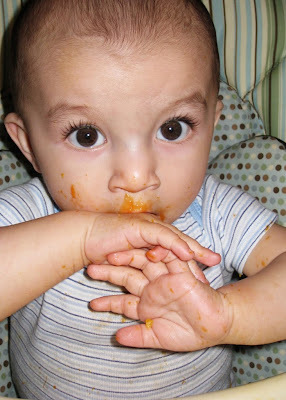 Wear cotton gloves when handling pictures and artwork to prevent smudge marks. Always check for lint and dirt before closing your frame. Add a paper dust cover on the back of your the frame, for a professional look (great touch when giving a frame as a gift). Today I was craving something sweet, which generally means it's time to bake brownies, but my sweet tooth convinced me to try something much more exciting and super easy to make, Ambrosia Salad. JD’s grandma (the hubby’s mom) makes the best Ambrosia salad and today the Garcia Foodies shared the recipe with me; and with their permission I'm sharing it with you. 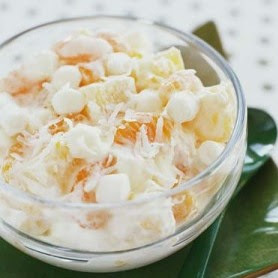 Combine pineapple chunks, sour cream, coconut flakes and slivered almonds in a large bowl, and then gently fold in the mandarin oranges (they are very delicate). Cover salad and refrigerate for 1 hour before serving. I'm getting so excited about JD's 1st birthday party; I'm right on schedule with the planning, specially with the help of Mari and Gabi as Co-planners. 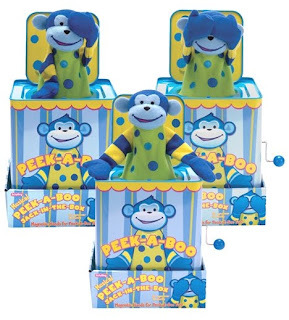 I’ve found some really delightful ideas and supplies so far, but these Monkey Jack-in-the-Boxes have got to be one of my favorite finds. They match the Mod Monkey color scheme exactly and I plan on building the centerpieces around them. The hubby purchased an iPhone a couple of years ago and at the time I wasn’t really interested in having one (I wasn’t a techie-techie), I was pretty happy with my Erickson camera phone and my free Google 411. I changed my mind significantly in the last year as I watched how easy it was to find directions, look up businesses, restaurants, send emails and most of all take amazing pictures. Well, the hubby an advocate of techie-techiness, was sweet enough to give me his upgrade this year and bought me the iPhone 3GS and I’m addicted. I have come across some really cool and helpful apps (applications) and I plan on sharing them with all you iPhoners as I come across them. 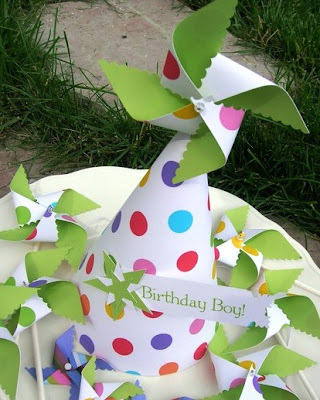 Here is one of the apps that I purchased for $1.99, it is perfect for all you party planners. 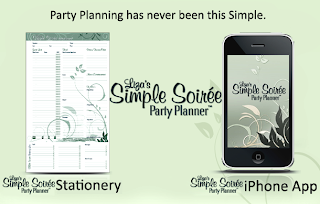 Liza'a Simple Soirée Party Planner takes the stress out of entertaining and puts the fun back into parties. It's an easy-to-use mobile app that you’ll have with you in your pocket or purse to keep track of party details. Forget a menu item or guest? No problem. Just add the information on the go! Imagine…no more lists on scraps of paper around your home, forgotten details or incomplete shopping runs. Simple Soirée convenience means one place to plan your theme and menu, record RSVPs, and coordinate shopping lists and errands. It’s highly intuitive and flexible. The app also records your parties and events for future reference and/or use. 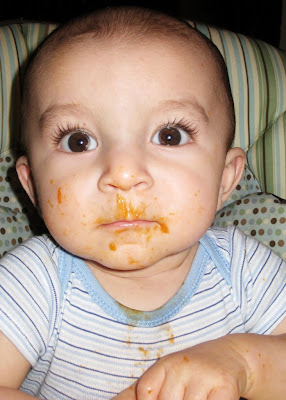 Tuesday I made JD his favorite food, baked butternut squash; in an attempt to allow him a bit of independence, things got a little messy. Needless to say, JD had to take a shower with daddy before going to bed. I’ve always really enjoyed cooking; I find that it helps me unwind at the end of the day. But now, I also enjoy spending time with JD when I get home from work, so I’ve come up with a couple of ways to do both. 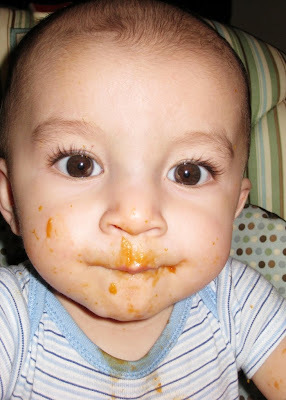 On days where a meal will take longer to make, I place JD in his highchair in the kitchen (away from the stove, I can already see my dad panicking at the thought of JD in the kitchen) and I include him in everything I do, I give him things to hold and taste and I explain everything I’m doing as I cook. On other days like last night, I’m a bit sneakier, I make meals that may taste like they took a long time to make but they don’t like this fake-out recipe. Preheat the oven to 400°. Remove casing from sausage; divide each sausage into 4 equal portions. Form each portion into a ball then put 1 piece of the fresh mozzarella cubes into the center of each meatball and seal the meat around it. 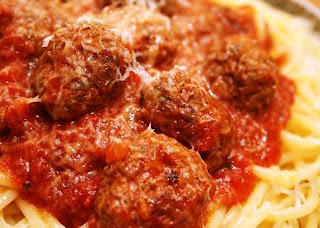 Place the meatballs in a large bowl and gentle toss with olive oil. Place meatballs on a greased baking sheet and roast until firm, about 20-30 minutes. Cook spaghetti according to the directions on the package. Pour ready made marinara sauce into a large sauce pan, add cooked meatballs and bring sauce to a simmer. 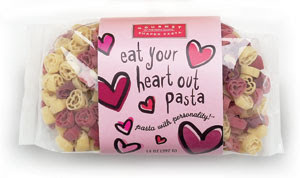 Plate spaghetti, add sauced meatballs, Parmesan cheese and serve with warm French bread. 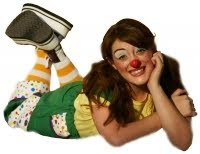 The party planning is definitely in motion and today after much consideration we finally booked an entertainer for JD’s 1st birthday party, Lulu the Clown. Although I personally have nothing against clowns, I had a hard time convincing the family about hiring one (JD loves clowns; he’s already made friends with the TMMC Volunteer Clowns). Well, I asked that they all take the time to watch “Lulu” the clown in action and they fell in love with her, just as quickly as I did. Lulu is so delightful and she caters to all ages including toddlers, which is a plus for us. Gentle, silly and sweet... Everyone loves Lulu! 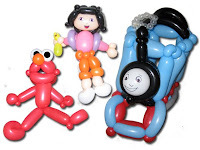 An excellent entertainer, face painter, and balloon artist with over 10 years experience working with children, Lulu is the perfect choice for your next celebration. Let Lulu enchant everyone with age and theme appropriate activities as a Clown, Princess, Pirate, Fairy, Wizardry Student (perfect for Harry Potter parties) or Santa's Helper. Lulu is also good friends with many famous princesses, superheroes and cartoon characters who would love to make an appearance at your party! This weekend the hubby and I headed to the movies with our friends Javy and Christina, to watch Youth in Revolt. I’m a huge Michael Sera (Arrested Development, Superbad, Juno, Nick and Nora’s Infinite Playlist) fan, so I was really looking forward to watching this quirky film. Funny, weird and wonderful is the only way I can describe it; I recommend watching it, especially if your looking for a good laugh, but I warn you it is definitely a rated R film. Superbad's Michael Cera discovers a vacation romance in Youth in Revolt, a teen comedy from Charlie Bartlett's screenwriter, Gustin Nash, and director Miguel Arteta (Chuck & Buck). The film is an adaptation of C.D. Payne's first book in a series of best-selling satirical novels starring Nick Twisp, a sexually charged 14-year-old whose intelligence and hormones get him into all sorts of adventures. 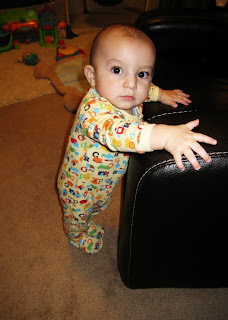 Although I probably should have done this a long time ago (about eight months ago), this weekend I realized that a crawling, climbing and almost walking baby can get into a whole lot of trouble; so the next to-do item on my list is to get Infant/Child CPR Certified. Torrance Memorial Medical Center actually offers many classes to our community, for a small fee of course and an Infant/Child CPR class happens to be one of them, so I’ve officially signed JD’s sitters and myself up for this class. If you or anyone you know is interested in taking any of the following classes please call TMMC HealthLinks at (310) 517-4702, click here for 2010 Class schedule. 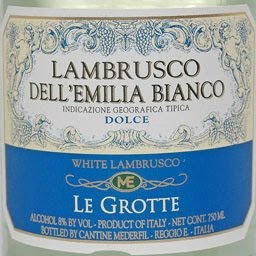 After watching Julie and Julia “again,” with the Garcia foodies (JD’s Aunties) we had no choice but to make our own bruschetta as a tribute to the movie, which we enjoyed with a bottle of Lambrusco Dell'Emilia Bianco (Trader Joe's). Toss tomatoes, chopped garlic, basil, 3 tablespoons olive oil, balsamic vinegar, 1 teaspoon sea salt and a pinch of pepper in a bowl, refrigerate until ready to serve. Fry bread in 2-3 tablespoons of olive oil in a skillet, browning on each side, and adding 1 more tablespoon if oil if necessary. 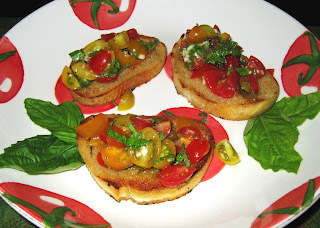 Spoon bruschetta onto pan toasted bread and serve. These are some of my newest dining accessories, I bought them all at Pier 1 Imports during their 50%-75% off sale (which is going on now, so hurry). 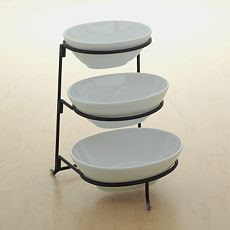 I love making appetizers, dips and other antojitos (cravings) and serving them in these plates will definitely add some pizazz. 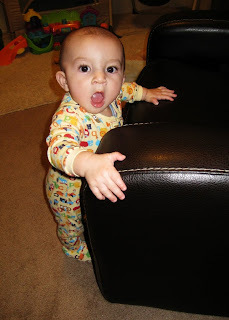 JD's Library: Such a Silly Baby!